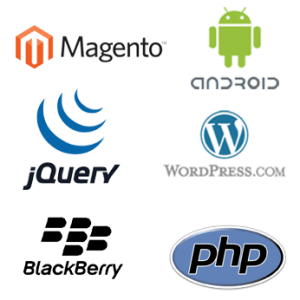 Custom Application Development involves application software development which is done for a particular organization. Custom software development is the designing of software applications for a specific user or group of users within an organization.Such software is designed to address their needs precisely as opposed to the more traditional and widespread off-the-shelf software. Such software is typically created just for that specific entity by a third-party by contract or in-house group of developers and is not packaged for reselling.The advantage of custom application over standard applications is that standard applications were designed with a general set of features to be used by different verticals and organization whereas custom application development is capable of producing practically any feature you may desire for your organization. In this ever-evolving business and technology world, it is challenging for enterprises to meet the specifications of the business requirements. This challenge is faced by many organizations today. At Jicho we help organizations to build customized applications that suits business specifications-efficiently and effectively. We application experts will initially understand your business needs carefully to build solutions that fits right in your business operation without compromising the user interface and quality of applications. Our team follows a proven approach of customization. Our services and solutions will help organizations address functional gaps and achieve business goals effectively. In full life cycle application projects, we take-on complete responsibility for customization need analysis, design, integration and implementation with testing and post go-live support.